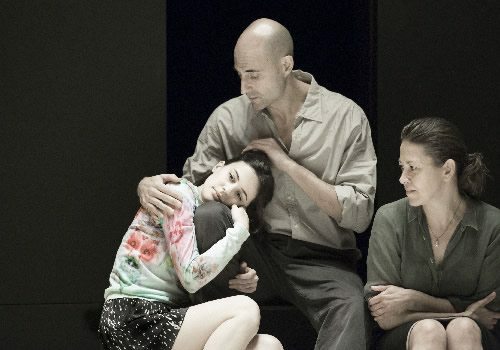 Hot off the back of a sell out run at the Young Vic Theatre, A View From The Bridge transfers to London’s West End at the Wyndham’s Theatre. A View From The Bridge is Arthur Miller’s dark tragedy about a lawyer named Eddie living in Brooklyn. Eddie lives with his wife, Beatrice and his orphaned niece, Catherine and soon houses Beatrice’s Sicilian cousins, Marco and Rodolpho, who are living in America illegally. 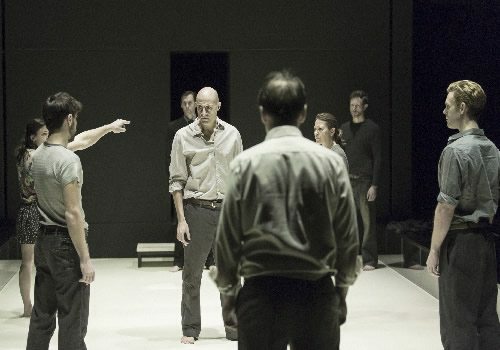 Ivo Van Hove directs this stripped back version of Miller’s text, with designs by Jan Versweyveld and costume by An D’Huys. A View From A Bridge is not suitable for children as the show contains scenes of violence and dark subject matter.